Trip Recap & Vlogs Are Coming! Hello friends! As I get back into the swing of things, I thought I would give you a recap of our trip! As you know I also took my camera with me, and those vlogs are coming soon. 🙂 Take a look at the video below (watch all the way to the end for a trip trailer) for my trip recap! I’m sharing the general outlines of our days, so you can know some of what you’ll be seeing in the vlogs! 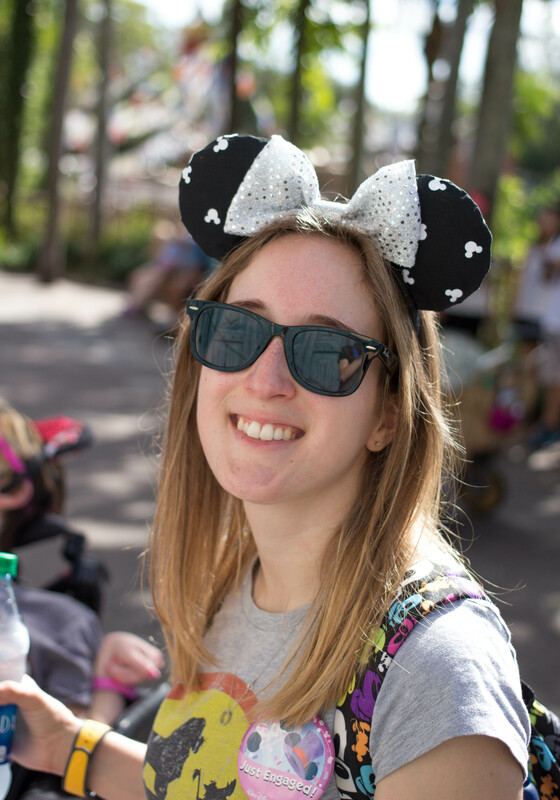 I’ve also included some of our PhotoPass pictures from each day. 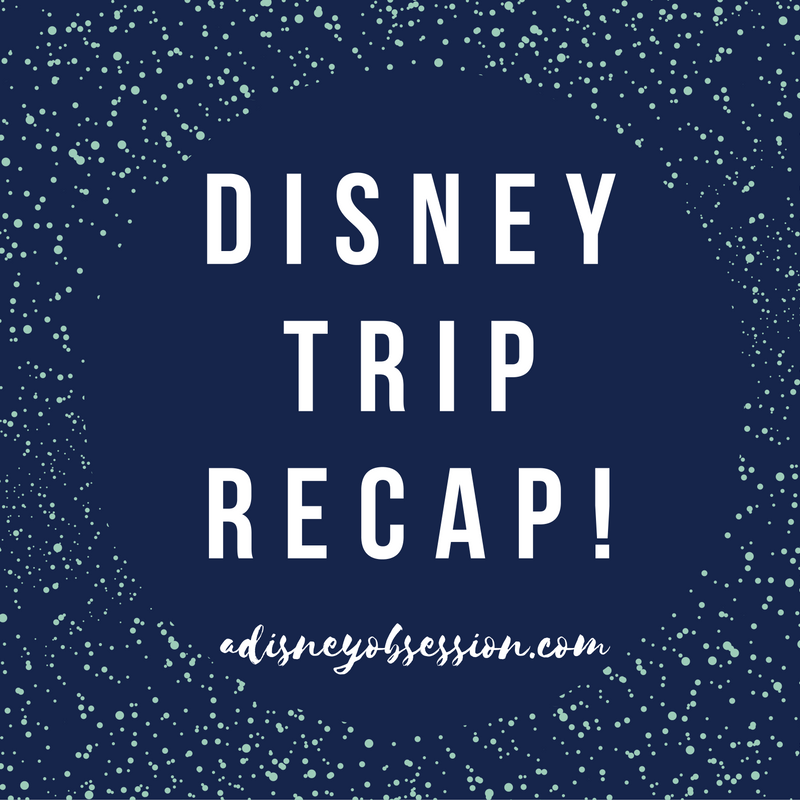 The Plan: Sunday was our travel day, and I was hoping to squeeze some time at Magic Kingdom! Actual: Our flight took off at 10am and landed around 12:30 in Orlando! We went straight to the Magical Express and got on a bus quickly. The Polynesian was the first stop, and we were there a bit after 2. There was a bit of an issue checking in (because we had 4 different rooms and they were trying to get us all in the same building). 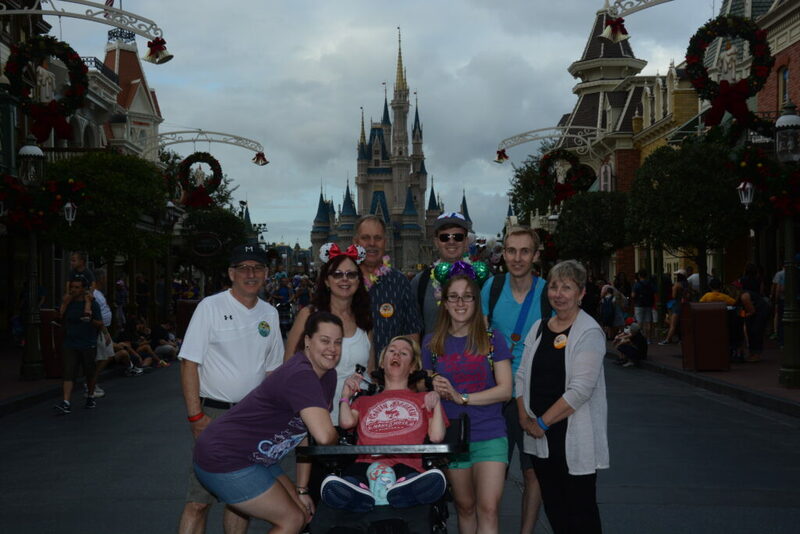 2 of 4 rooms were ready, and once we all had our magic bands, we changed and hit Magic Kingdom! The first thing we did was hit City Hall where we sorted out the new disability services pass. Don’t worry, a whole post about that is coming up! Next we enjoyed dinner at Crystal Palace, watched the Castle Lighting and hit some rides! We finished the night off with Wishes, the new “Once Upon a Time” night show, and you know… Ethan and I got engaged! 🙂 You’ll have to keep an eye out for a blog post to hear the whole story! Actual: We got to Animal Kingdom a little later than expected and stayed pretty much until park close (7pm). We did the important things and I finally got to see the Tree of Life Awakenings! We had a great lunch at Harambe Market (I had the Grilled Vegetable Stack) and dinner at Tusker House! Goofy was the highlight with Alex, he fell in love with her! After heading back to the resort 6 of us went to Trader Sam’s, and it was so much fun! I had a Spikey Pineapple and shared the Uh-Oah with Ethan. I really wanted to go and I’m so glad we did! We had a fairly early night after that. 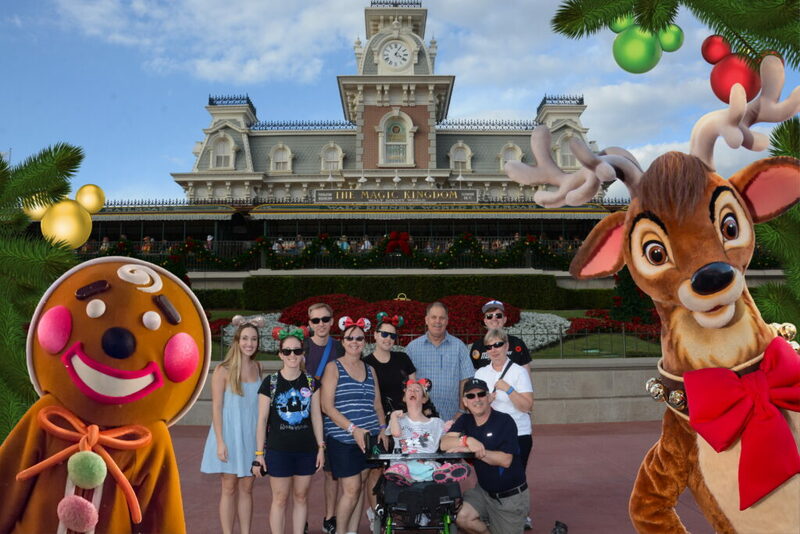 Plan: Sleep in, Mickey’s Very Merry Christmas Party and a visit to the Grand Floridian! Actual: Ethan surprised me Sunday night twice, first with proposing and second with a photo session Tuesday morning at the Polynesian! So instead of sleeping in we were up at 6:15 for our 7:30 session, which was really fun! I will share those pictures with you guys soon 🙂 We grabbed some breakfast then met up with everyone and walked to the Grand Floridian! I did a little bit of shopping there and we headed back. Hayley met up with us right before lunch at Kona Café, and we headed to the Christmas Party at 4 because it’s the earliest you can get in. We did some rides and then made a plan for the Party activities. I’ll have a whole post about that, but it was a blast! We stayed pretty much until midnight. 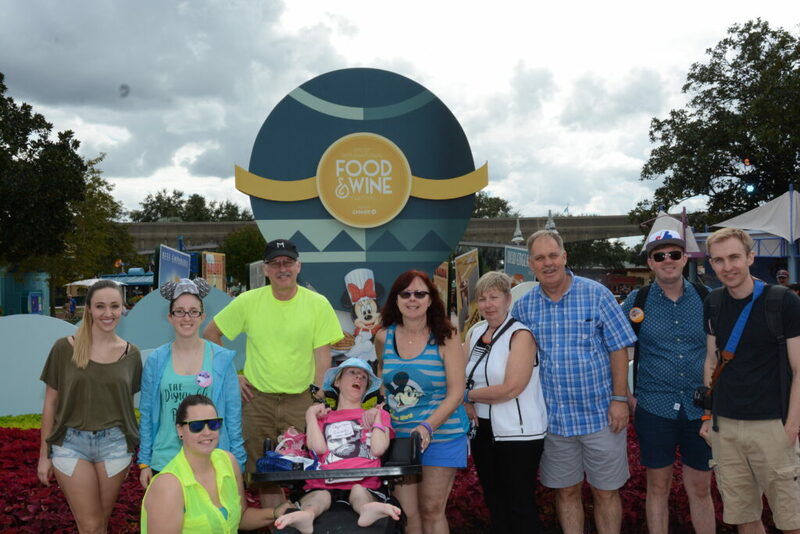 Plan: All the new things at Epcot! And Food & Wine! Actual: We made it to Epcot just after the park opened and hit Future World rides before heading to World Showcase around Noon. Hayley joined us again today! 🙂 We split up and sampled Food & Wine things, and met up for dinner at Teppan Edo which was so much fun! 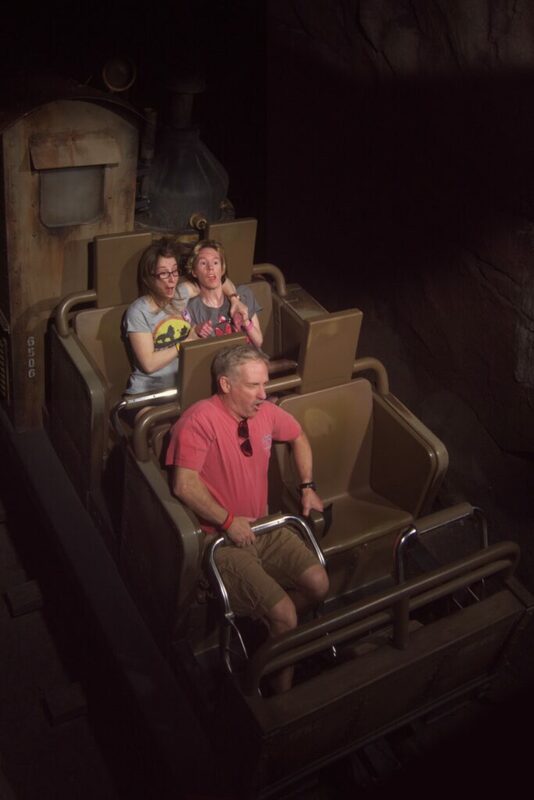 We hit a few more rides before Illuminations. After that the park was closed, so we hopped back on the monorail and headed back to the Polynesian and had an early night! Plan: Magic Kingdom, evening at the Polynesian. Actual: Our first time seeing Magic Kingdom just during the day! 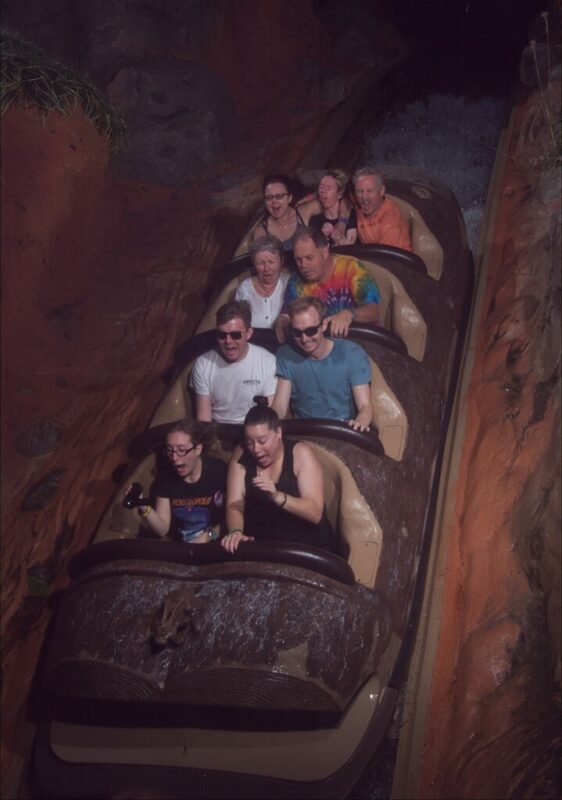 We slowed our pace a little today, and beat the heat with Splash Mountain! Lunch at Be Our Guest was amazing, and we headed back to the Polynesian for dinner at O’hana. Many of us enjoyed Lapu Lapu’s (a drink that comes in a pineapple) and we relaxed before watching Holiday Wishes from the beach. This was the coldest night we had seen, so I was bundled up! Actual: We spent little time in Future World at Epcot, and more time walking around World Showcase sampling the Food & Wine offerings! My favourite was the Spicy Hummus Fries from Morocco. After riding Frozen Ever After with our FastPass+, we walked around World Showcase and left through International Gateway. We walked to Boardwalk and relaxed for a little before heading to Beach Club for lunch at Beaches & Cream. It was delicious! 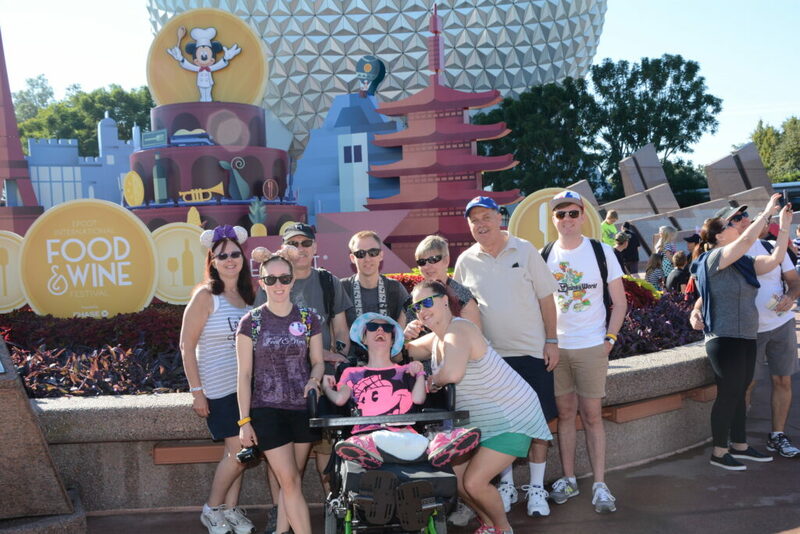 We then walked to Hollywood Studios for the evening where we hit all the thrills, saw Fantasmic and the Star Wars Fireworks! We stayed to park close and headed back to the resort. Actual: We got up and finished packing, checked out of the hotel and left our bags with Bell Services. 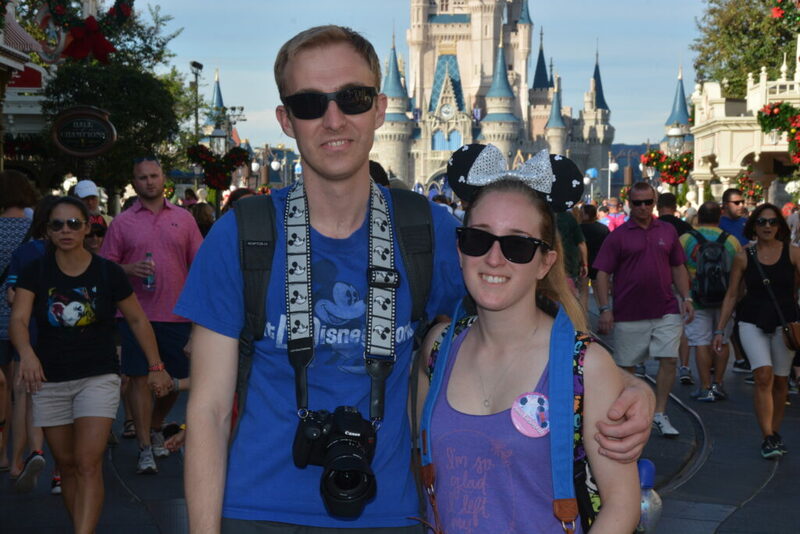 We headed to Disney Spring for a few hours, which was really nice! We used our Quick Service dining credits at Morimoto Street Food, and Blaze Pizza, both of which were really good! After that Ethan and I grabbed a bus back to the resort, and headed to Magic Kingdom for the last time :(. And it. was. BUSY. We spent an hour and a bit walking around taking pictures, soaking it all in. I got a little emotional when it was time to leave, because I don’t know when I will be back! We spent some time by the pool and had something to eat before cashing snacks in for our last QS meal. 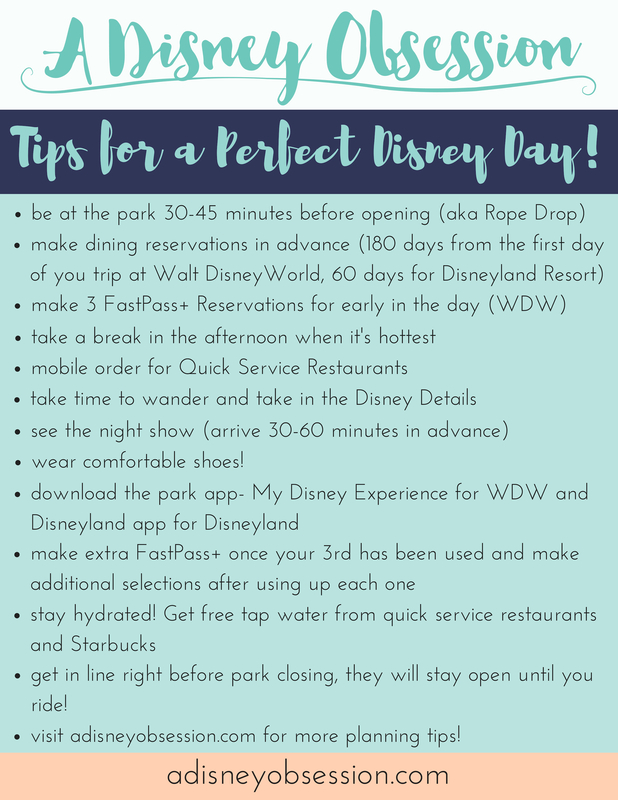 While heading to the Magical Express waiting area I bumped into BeingMommyWithStyle! I knew she was vacationing as well, and it was such a surprise to see her! I said hello and chatted for a bit, but left her and her husband enjoy their date night without the kids. She’s the first YouTuber I’ve met so it was a really neat experience! All of a sudden we were on the bus and back at the airport. Just before we boarded the plane I saw GillianAtHome, another YouTuber I watch on the regular! She was on the same flight, so I talked to her for a bit before we boarded, and I even made her vlog! It was an interesting day for sure! before I knew it we were home, after a whirlwind of a trip. Take a look at the video below, and make sure to watch until the very end! I hope you enjoyed a peek at what’s coming in the vlogs, and a bit of a rundown of our trip! Vlogging was more difficult than I thought it would be, especially when travelling in such a large group, but I hope you guys enjoy the sneak peek I’m sharing today! I had to! The pictures are too funny not to share!